When designing and manufacturing complex electronics such as sensorless brushless motor controllers, effective quality management of the entire process is critical to ensuring successful outcomes. That’s why we are committed to the highest possible standards of electronic assembly (our motor controllers are manufactured under the AS9100 quality management system). The quality management process starts with the specification. 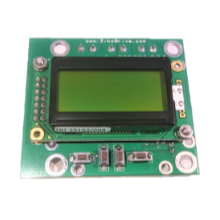 If you’re interested in developing either a modified stock motor controller or a custom designed motor controller then we will work closely with you to develop a detailed specification that you are happy with. We’ll develop the specification before stating everything clearly and then confirming everything clearly in writing before the project moves forward. Once we’ve gone ahead with the project we carefully reference the prototyping, schematic design and board design to the original specification to ensure that no issues arise or points are missed. We use a set of standard QM document templates that we have developed ourselves to prompt factors which can often go overlooked, especially in urgent projects. Factors such as operating temperature, board cooling, user control and other factors will not go overlooked.